In an economic collapse, the Federal Reserve may intervene to stimulate the economy. 3. Can a Bank Stock Have a Beta Over Two? Banks have always been affected by the stock market. The Great Depression began with a stock market collapse. However, it is now widely held that what turned a stock market dive into the worst depression in U.S. history was the ensuing collapse of U.S. banks and the resulting contraction of the money supply. There are historic reasons for the sensitivity of the banking industry to the stock market, but in the 21st century new credit markets and new ways of leveraging capital increase that sensitivity. Bank stocks loosely correlate with consumer cyclicals -- stocks of companies that outperform the market in good times and under-perform in bad times. In a rising stock market, economic activity increases. Consumers and businesses borrow money for capital investment and consumer purchases. When the stock market falls, businesses and consumers lose confidence, and economic activity slows down. Businesses and consumers borrow less. As the economy contracts, fewer customers qualify for loans. Banks are often hit again in this downturn, when many consumers can no longer pay their mortgages. Retail banks increasingly offer their customers investment services. Merrill Lynch, for many years one of Wall Street's larger brokerage and investment houses, is now an integral part of the Bank of America. When the stock market falls, investment activity slows down and retail banks with brokerage functions are adversely affected. In a rising market, the reverse is true. Falling stock markets are clearly hazardous for banks, but in some circumstances the economic and political initiatives promoting economic recovery can also pose problems. In a thoughtful 2013 Forbes article, Jerry Bowyer argues that various government activities designed to keep interest rates low to stimulate economic recovery initially cause the stock market to rise, but eventually weaken the recovery and contribute to rising interest rates. Both conditions are generally bad for banking. Bowyer likens what happens to a beach ball resting on water. The farther down you push the ball, the higher it rises when you remove your hands. 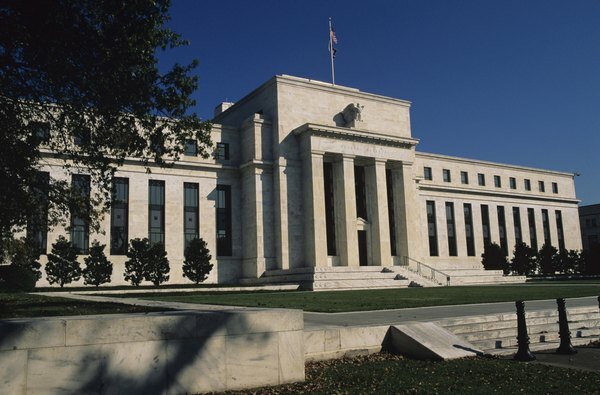 In 2013, for example, hints that the Fed's low interest rate policies might soon come to an end sent the stock market into a series of momentary dives, accompanied by significant rises in bond rates. In the 21st century, investment banks like Goldman Sachs and Lehman Brothers bought and sold highly-leveraged sub-prime real estate debt instruments that generated enormous profits until 2008, when a real estate boom collapsed and they generated even larger losses. The failure quickly spread to the stock market and then to the greater economy. Banks suffered at every stage of this collapse. Many, like Lehman, went bankrupt, and others struggled to survive.